What is your favourite flower? Did you know that flowers have meanings and messages and it used to be quite common to send flowers to convey a specific message? I think that is very romantic! In fact one could even insult someone or even break up with them using flowers as your medium of choice. When in chat rooms seeking local singles, it’s a very interesting conversation starter. 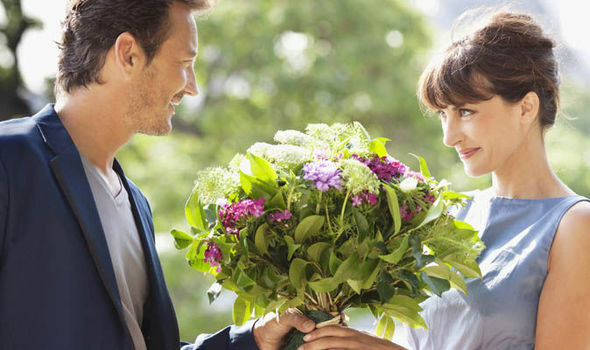 Find out who is compatible with you by their favourite flower or their birth month flower. Just like your astrological sign, your birth month also has a flower. So let’s delve a bit into the interesting world of flowers and see what it reveals about you and your potential loves! January birth month flower is; carnation. Traditionally a carnation has been the flower of choice for men attending proms, dances and weddings. Mainly they are chosen for these events as they symbolize love and devotion. The colour of the flower also adds significance. Choose either red for deep love, pink for admiration and white for pure love. February birth month flower is; Violet. Violets are not only truly beautiful, with their deep purple and velvety petals but they also mean devotion and white ones can mean an invitation to take a chance on love! March birth month flower is; Daffodil. The Daffodil is most commonly associated with spring and rebirth. With it’s beautiful sunny colour and complex curvy bloom, it is a favourite flower for all of us. But the daffodil can also symbolize Narcissus or vanity so be careful when sending them that there isn’t a secret meaning! April birth month flower is; Daisy. May birth month flower is; Lily of The Valley. These tiny bell-like flowers dangle prettily from their leaves but beware! The lily of the Valley is as poisonous as she is pretty! June birth month flower is; Rose. Ah the famous and tempestuous rose! Many a poem and sonnet has compared love to a rose. As beautiful as they are, watch out for the thorns! July birth month flower is; Larkspur. Oh the glorious Gladiola! What a bright, vivacious and large joyful flower! My Nana sure loved her gladiolas and I guess it was no coincidence her name was Gladys. There is no dark side to a Gladdy. When in doubt, send these joyous and colourful blooms to ensure happiness! September birth month flower is; Aster. These tiny and fluffy petaled flowers are a delicate friend welcomed in late summer. They grow from white to pink all the way to dark purple. They have been adored since ancient times and symbolize patience, elegance and daintiness. October birth month flower is; Marigold. Common though they are, these bright clusters of orange sunshine are quite literally “mary’s gold” but despite the biblical meaning Marigolds are valued for their heartiness, burst of colour and ability to repel garden pests. November birth month flower is; Chrysanthemum. The literal meaning is “golden flower” our dear ‘mums have undergone much metamorphoses over the years and can be found in hundreds of colours and varieties. A popular decorative fall plant it also means love, deep passion and longevity. December birth month flower is; Holly. We associate Holly with December because of its shiny, dark green leaves and bright red berries, Holly, which is more of a shrub than a flower, is also a hearty, pretty plant that symbolizes domestic bliss! So my dear friends, I pick a bouquet from each and pass to you and wish you luck, love, lust and longevity!